Finding and settling on a hosting services provider for your website can be a big task. Not that it is particularly stressful or anything, but more because it is a decision that could ultimately influence whether or not your website is successful, or whether you experience problems throughout your time working with the host provider. 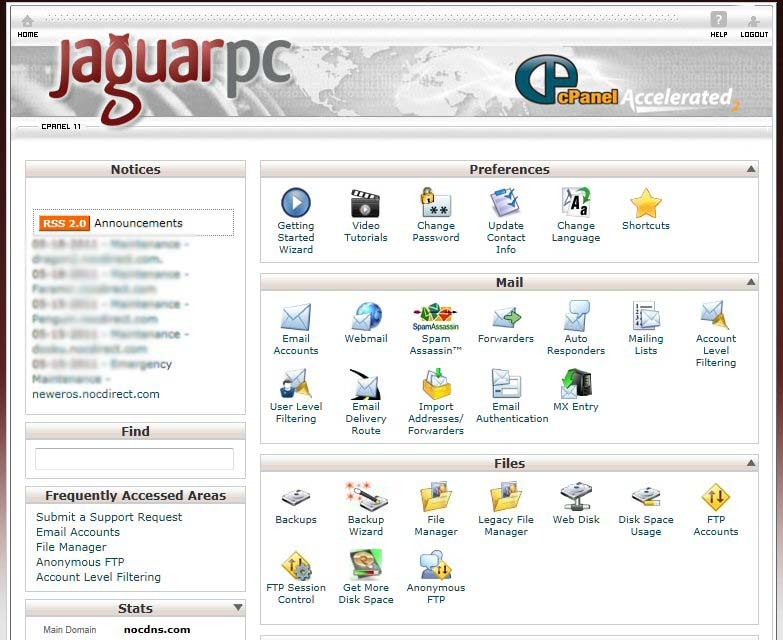 We looked at one hosting company, Jaguar PC, to find whether they could be a suitable solution for your needs. Jaguar PC have been providing quality hosting services since 1998, and are the original leader in terms of VPS hosting packages, a service that they have capitalized on for many years despite it only becoming a real trend in recent years. The internet is a fickle place, and it can be difficult to find people with a reputation for quality, but if a business has been around and has been successful online for 15 years, that is a good indication that you are dealing with something good. The first thing you notice when bringing up the Jaguar PC site is that they immediately present you with their range of options. Hosting companies who are only interested in taking your money will often have a “Best and Cheap Web Hosting” pop up, but there is none of that here. Jaguar PC offers a full range of hosting options, meaning that there is likely to be a solution for you whatever your needs. They feature VPS hosting, hybrid hosting, and dedicated hosting solutions, all managed to ensure the best possible performance so that you can focus on maintaining other elements of your site or running your business. Various options are available in each package, whether you want to try a solution for a month or are happy to sign up to a three-year hosting plan. There are unlimited disk space and bandwidth options available, and you can host you existing CMS on the site, such as WordPress or Joomla, or use their own cPanel to build a site from scratch. All of these options come with a 45-day money back guarantee, so in the unlikely event you do feel you have made a wrong call, you are not left out of pocket. Your investment is covered with Jaguar PC, as you are given a money back guarantee related to the 100% uptime promise, while 24/7 helpdesk support will ensure that any other queries you have can be answered and resolved quickly and efficiently. Their support options include live online chat, email and phone support. Price plans with Jaguar PC range from as little as $4.95 per month for the most basic, shared server solution, to as much as $359 per month for a dedicated UK-based server. A US-based dedicated server is cheaper and costs between $239 and $269. VPS hosting packages start at $19.95, and less powerful dedicated solutions are available from $109.